I confess that as much as I love to eat artichokes, I've never really been entirely convinced that they're worth the fussy prep. 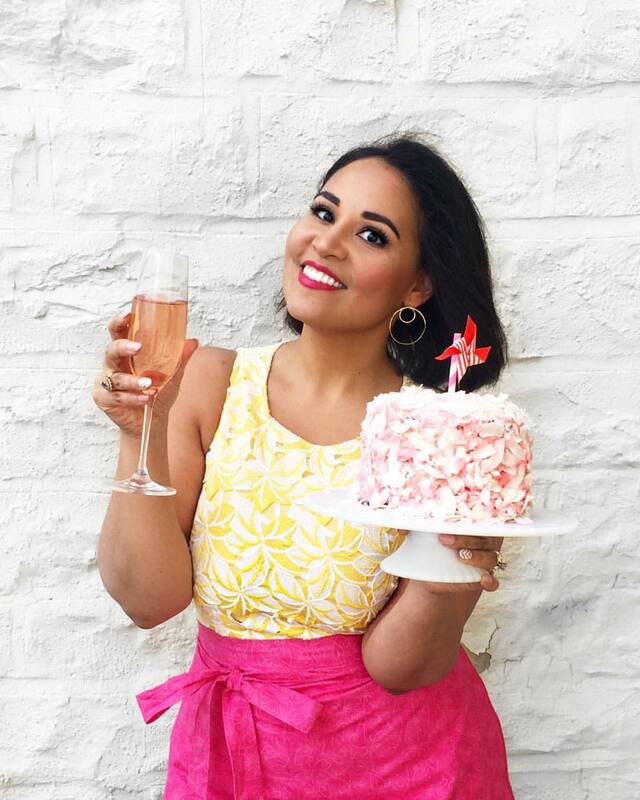 I love to cook, but I'm admittedly kind of lazy in the kitchen, usually going for the easiest (but still from-scratch) option. But the sudden burst of spring weather and produce has gotten me excited to play around with veggies I typically ignore. Totally normal day around here. 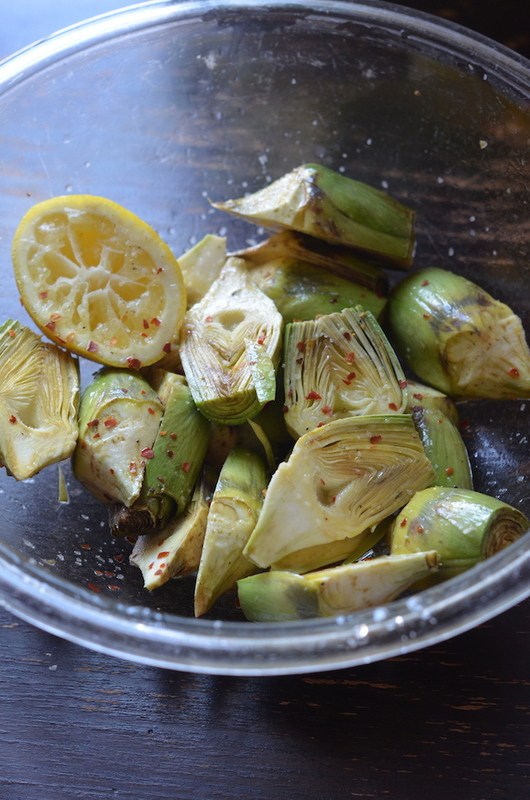 When I finished making food art, I decided to tackle those adorable baby artichokes first, peeling and roasting them until crispy with a simple dressing of fresh lemon juice (lots of it! ), olive oil (the good stuff! ), salt, and chili flakes. Roasted at high heat until super crisp, then served with a lemony mayo for dipping, they're a super snacky treat to enjoy this Spring. Crunchy on the outside and tender on the inside. And for those of you who, like me, are loathe to tackle artichokes, you'll be pleased to know that the babies are a tiny bit less fussy. Simply peel off the outer leaves, cut through the ends (one quick swipe with the knife is enough), and then shave the stem down a bit. No need to scrape out the fuzz, and the majority of the leaves are already tender enough that you can tackle the whole pile in about 5 or so minutes. As I snacked my way through this salty, crunchy, spicy, tangy plate I was like, "yeah, OK. They're worth it." 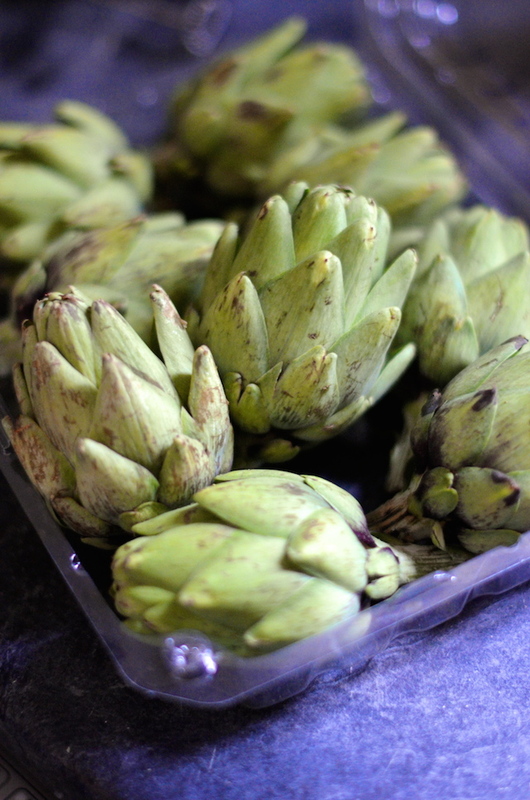 Remove outer leaves of artichokes and use a knife to trim off the sharp ends. 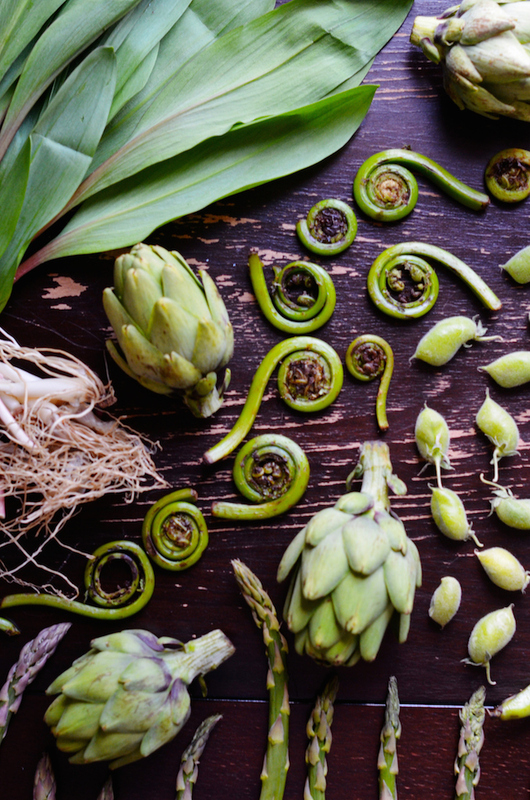 Use a vegetable peeler to shave the stems. Cut legnthwise in half and place in a bowl. 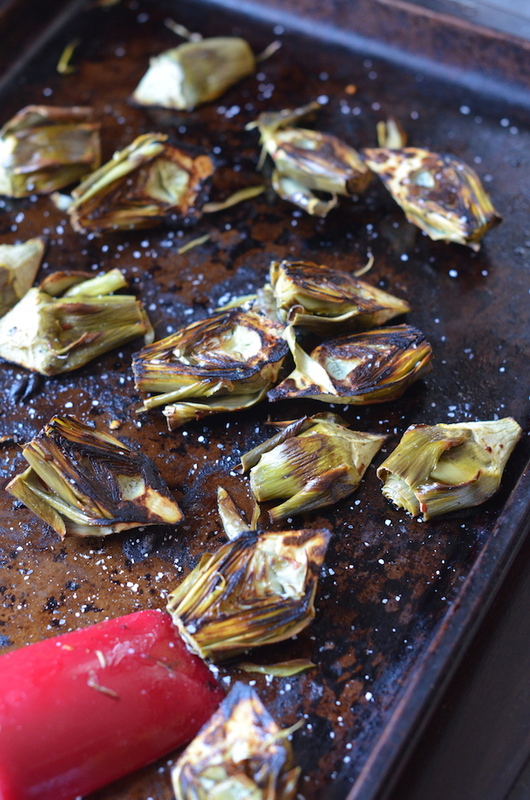 Toss prepared artichokes with a generous amound of olive oil, the juice of one whole lemon, and season with kosher salt and red pepper, to taste. Place cut side down on a baking sheet and roast 20 minutes, or until crispy and slightly charred. 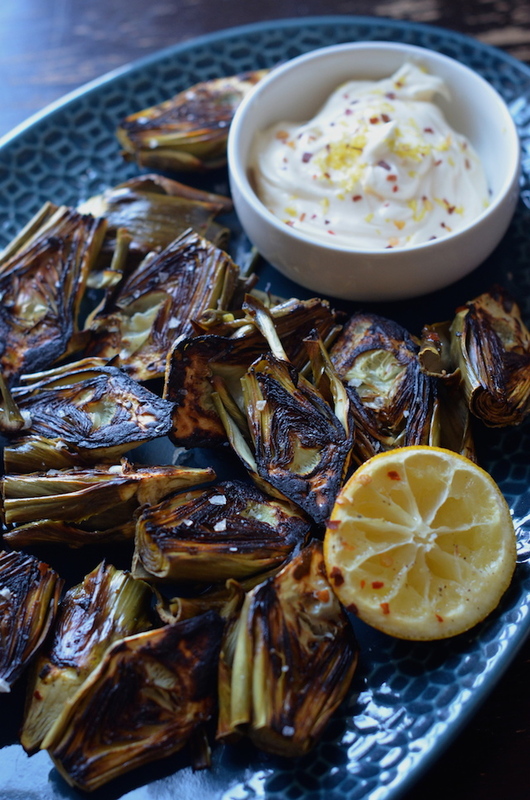 Whisk together dip ingredients and serve along with hot artichokes.